In the early months of 1957, Dr. Seuss (Theodor Geisel) had just had one of his biggest successes as an author. The Cat in the Hat, his previous work, was a huge seller, and now it was time for a follow-up Dr. Seuss book. 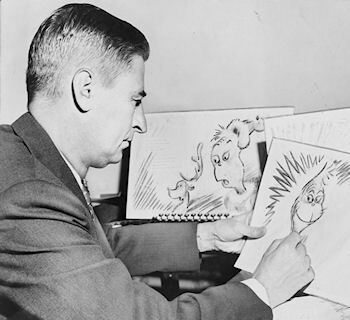 Theodor Geisel began work on 'How the Grinch Stole Christmas' sometime early in the year. He wrote the book quickly, it was finished in a few weeks.